Kyoto is undoubtedly the most traditional Japanese city. It was the capital of the country for more than a millennium, so it is not surprising that Kyoto had preserved several traditions of Japanese culture. It is a very significant city from the point of view of history as well as from cultural and touristic perspectives: Kyoto is visited by millions of people every year. The 2400 temples, the 4 major geisha districts, the 70 Japanese gardens and several other touristic sights contribute to the city’s touristic importance. Many of the city’s Japanese gardens have a substantial past, because the majority of them were established hundreds of years ago. 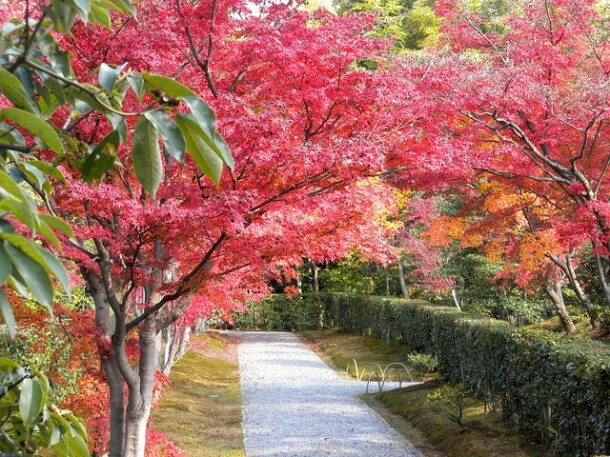 This article presents the most popular Japanese gardens in Kyoto. 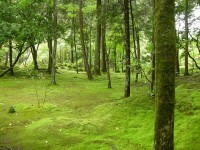 This group of Japanese gardens and traditional tea houses is located in the eastern suburbs of the city. People living in Kyoto are very proud of this garden, because many Japanese people claim that Shugaku-in Villa is the most beautiful and most traditional Japanese garden in the country. The garden occupies 133 hectare and this area is divided into three gardens: Lower Garden, Middle Garden and Upper Garden. Upper Garden is considered to be the most significant of the above mentioned gardens. 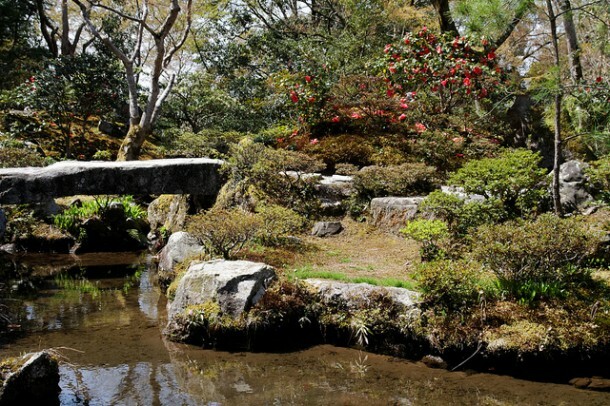 As every Japanese garden, small ponds, trees and beautiful flowers can be found here as well. Five tours per day provide an organized walk around the garden for the tourists: these start at 9.00, 10.00, 11.00, 13.30 and 15.00. The garden is closed on weekends and national holidays. 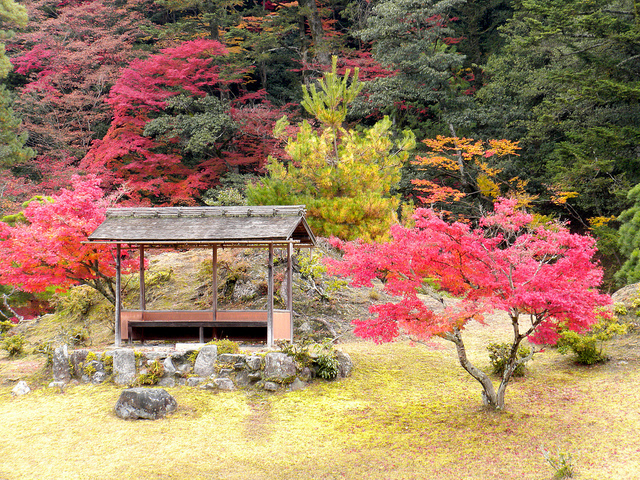 Kokedera is the garden of the popular Saiho-ji Temple, one of the city’s UNESCO World Heritage Sites. 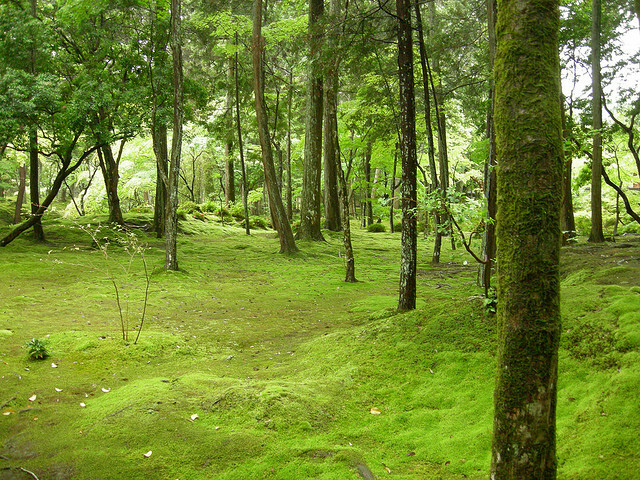 This garden is quite different from other traditional Japanese gardens: it is mainly characterized by moss; Kokedera means Moss Garden. More than 120 species of moss can be found in this beautiful place. If you plan to visit this place, you have to make a reservation, including the number of people who accompanies you. You have to do this seven days before the planned visit. These reservations should be sent by post. 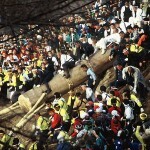 The address is Saihoji Temple, 56 Jingatani-cho, Matsuo Nishikyo-ku, Kyoto, 615-8286, Japan. 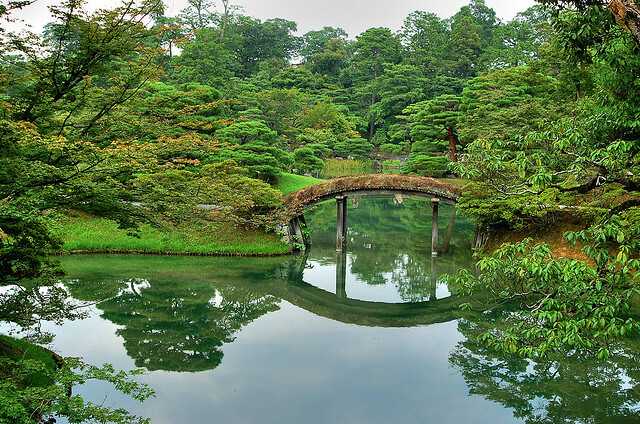 Katsura Imperial Villa is a huge Japanese garden, including some outbuildings as well. 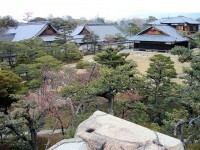 It is separate from Kyoto Imperial Palace, but the style of the garden is very close to royal. It is quite difficult to visit this amazing place; the Imperial Household Agency holds daily trips. These tours should be booked in advance at Kyoto Imperial Park. 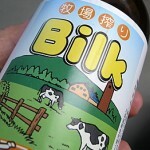 You can make these reservations from Monday to Friday, between 8.45-12.00 and 13.00-17.00. On-line reservations are available as well, but a personal visit to the Imperial Park is more trustworthy.